In an earlier post, I mentioned the importance of business cards. This is a point that can’t be overstated, so I want to touch on it again. 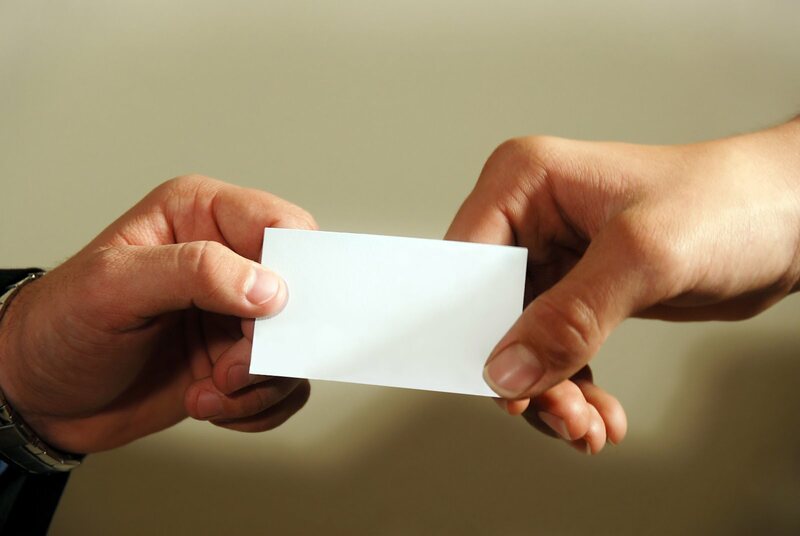 Business cards are an essential part of your job search process. Not having a job is no excuse for not having a business card. One of the most important steps to finding a new job is to network. Successful networking involves meeting new people, and meeting new people involves exchanging contact information. It is far more embarrassing to write your name and phone number on a napkin at a bar (for a potential employer) than to hand them a crisp, new, custom business card. You can also add your address, your website’s URL, or your job title (“marketing consultant” for example). Some people even create a personal logo, although I would caution you to not use too many graphics or too much color unless you have a design background. The last thing that you want is a completely homemade looking card. Once you have an idea of what you want your card to look like, log onto one of the many sites where you can order business cards. A few that I have tried in the past are GotPrint.com, VistaPrint.com, and FedEx.com. Even nice cards should cost you less than $50. This is more than worth the investment when it comes to finding your next job. Some sites (Vista Print in particular) offer an option to print cards for free. If you print free cards, Vista Print will put their website on the back or bottom of your card. I would encourage you to try to pull together the $50 to pay for premium cards at Vista Print or one of the other sites. They look more professional and minimize the chances that you’re going to look either inexperienced or desperate for a new job. Once you have your business cards, TAKE THEM WITH YOU. Everywhere. Do not leave home without them. Ever. I keep business cards in my purse, my car, my wallet, my jacket, and any other place with a pocket. I don’t ever want to miss a networking opportunity, and if you are looking for a job, neither should you. Last but not least, don’t forget to give your business cards away. Don’t be shy. That’s what they’re for. Most people will give you theirs in return. And if they don’t, it’s probably because they don’t have one and are too embarrassed to write their phone number on a napkin. I have to tell you, none of these excuses are anything more than excuses. At the end of the day, when you’re looking for a job, potential employers need to know how to contact you. You never know when or where you might meet someone who may end up being your next boss, or your next great networking contact (who will introduce you to your next big job). If you don’t have business cards, it’s time to get them. And the good news is, it’s easy. It only takes a few minutes to order them online, and then they arrive to your house a few days later. 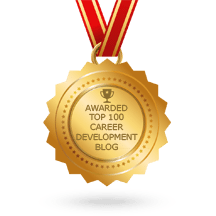 If you’re the kind of person that has multiple types of jobs, or qualifications in multiple areas, you may want to consider a card that does not have your title. This will allow you to give the same card to different people, in different industries, and for different types of roles. If you’re not a graphic artist, or experienced with PhotoShop, don’t try to design a logo on your own. If you have a friend who’s an artist, ask them for their help – or leave off the logo altogether. A simple business card is much better than a messy one.